HPI - J. Calvin Johnson, M.D. 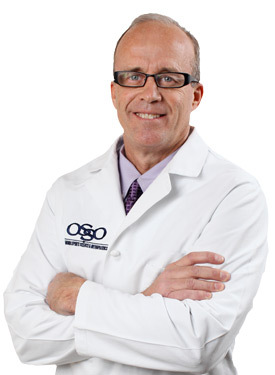 As the founder of OSSO (Oklahoma Sports Science & Orthopedics) in 1994, Dr. Calvin Johnson is dedicated to providing advanced orthopedic care to athletes and non-athletes alike. An Oklahoma native with a strong passion for sports medicine, Dr. Johnson has performed more than 20,000 arthroscopic procedures for patients nationwide. He is also actively involved in the research and minimally invasive treatment of osteoarthritis.